A number of conservation areas are open to the public throughout south Simcoe County, the Regional Municipality of York, and the Regional Municipality of Durham. By visiting these areas you will soon realise that each one has its own unique natural features. Willow Beach Conservation Area , is an ideal spot for swimming during the hot summer months – there is 500 metres of sand beach and a gently sloping shoreline. Picnic goers will enjoy the large open grassed areas and mature shade trees. Facilities include change rooms, washrooms, drinking water, picnic tables and a playground. 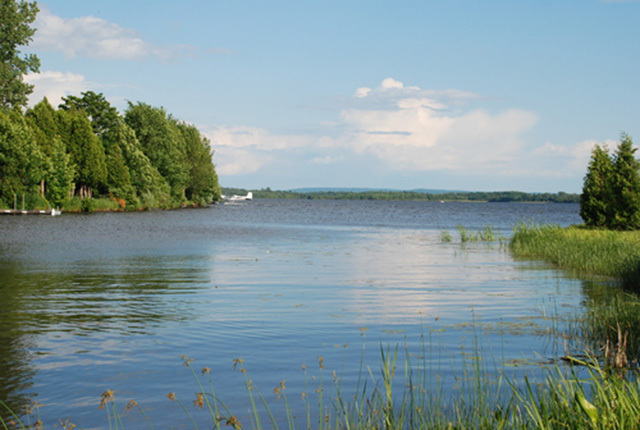 Willow Beach is located four kilometres west of Jackson’s Point on Metro Road. A gate fee is in effect during the summer months only. Scanlon Creek Conservation Area , located a few minutes north of Bradford on Highway 11, is a perfect place to visit and explore throughout the year. The park’s natural setting and size provides an individual or a group the opportunity to have an enjoyable experience. During the warmer months, the park is a great place to spend a few hours or an entire day. Visitors can swim or fish in the 4 hectare reservoir. The large open areas and pavilions are ideal spots for picnics. Winter is the time to visit park to hike, toboggan or enjoy cross-country skiing. Hiking is also very enjoyable in the spring when wildflowers and migrating birds are plentiful and during the fall show of colour. Sheppard’s Bush Conservation Area , is an ideal spot for a pleasant walk or bike ride through the woods. Located within an urban setting in the Town of Aurora, this 15 hectare (38 acre) site consists of a mature maple and beech forest. The annual maple syrup festival, “Maplefest”, is held each spring at the end of March and beginning of April. Visitors can take part in a tour of the sugar bush, enjoy a pancake meal, and purchase a variety of maple syrup products. Sheppard’s Bush is located south of Wellington Street East on Industry Street. Rogers Reservoir Conservation Area , is located on the Holland River, three kilometres north of the Town of Newmarket. A shallow reservoir and marsh area attracts a variety of waterfowl and other marsh birds. A viewing tower and trail system along the river make this park a popular spot for birders and hikers. Rogers Reservoir is also home to one of the locks along the “ghost canal” system – built to accommodate shipping between Newmarket and Lake Simcoe in 1911 and then never used. Remnants of the abandoned canal, a lock and swing bridge are located in the park. Whitchurch Conservation Area , is a small 10 hectare (25 acre) park located on Aurora Sideroad (Regional Road 15), 10 kilometres west of Aurora. A small pond and a variety of large, mature trees makes this a picturesque spot for picnic. For the hikers, this park provides access to the adjoining 63 hectare Robinson Tract of the York Regional Forest. A variety of overnight and day use parks are available throughout the Lake Simcoe watershed. Parks are designed for outdoor recreation including Picnicking, hiking, fishing, swimming, camping, and cross country skiing, snowmobiling. A spring road trip or circle tour of Lake Simcoe will provide an array of refreshing fresh changing green foliage and blue lake colours along the shorelines and trails. Suggested resorts, hotels, inns, and attractions are listed as part of the spring tour.